This is one for the mammies of Generation Emigration. Sending your loved ones in the UK their weekly kilogram of Barry's Tea might have got a lot easier with the emergence of ParcelDirect.ie. With over 80,000 émigrés leaving Ireland in 2014, it's fair to say that any company that can help reduce the cost of sending parcels abroad is welcome. 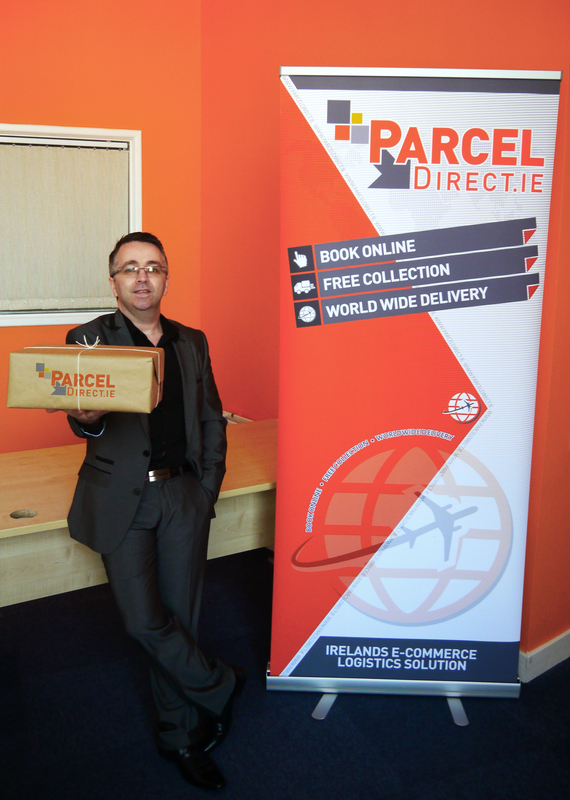 We caught up with Stephen O’ Sullivan, founder of ParcelDirect.ie, to see what his website has to offer on that front. O'Sullivan had previously worked in logistics for a number of years, receiving calls from across Ireland seeking various shipping quotes. O'Sullivan noted that, "to process these from Cork would be inefficient and expensive for the customer," so he took it upon himself "to develop a solution that would allow me to offer customers a fast, easy to use, cost effective service." ParcelDirect.ie is a quick and easy-to-use online service that allows its users to compare shipping quotes from a range of top delivery companies such as UPS, FedEx, DHL and TNT, without the hassle of signing up for a permanent membership. 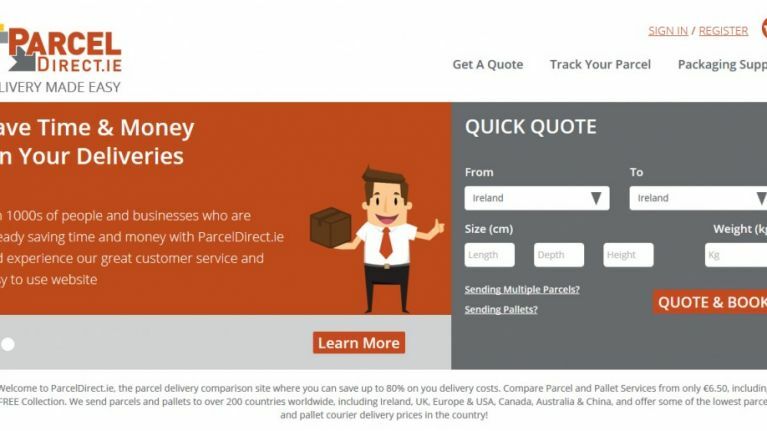 "So whether you are looking for a cheap way to send a box to the UK or an Express Document to the USA you can find a suitable service on ParcelDirect.ie," O'Sullivan asserts. Perhaps the main advantage that ParcelDirect.ie boasts over its main competitors is that it provides its services at a cheaper rate. 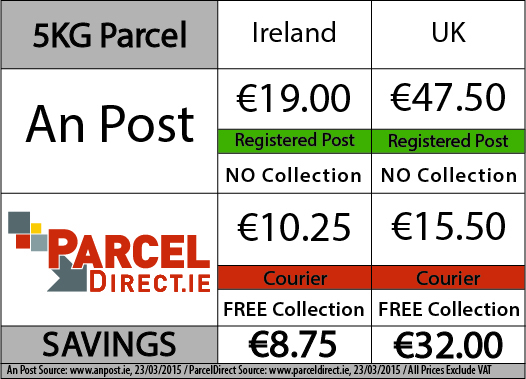 Consumers and businesses sending packages to the UK can save as much as €32.00 on a 5kg parcel, all while availing of ParcelDirect.ie's free collection service. O'Sullivan admits that it 'sounds boring' but stresses that if you need something delivered to or from the UK or Europe (or even domestically), "it really saves time and money when you can simply book and pay online and have it collected and delivered door to door." ParcelDirect.ie could be a sly game changer for everyone who has moved away in the last couple of years, and more importantly, for the mammies who can now send care packages abroad for a fraction of the price.